Funeral customs of the Caoxian, Shandong Province. 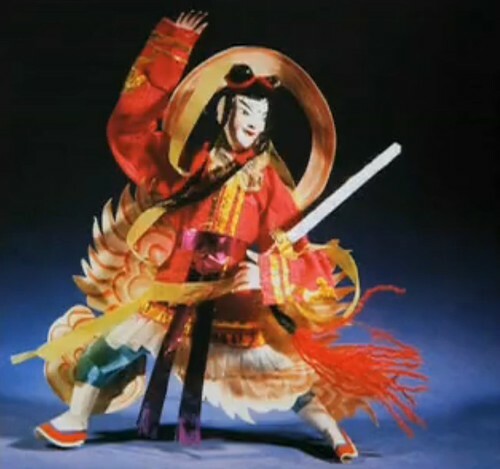 Paper Opera Figures are made for use during the funeral opera. They are later burned in order for the deceased to move safely into the next world.